What happens when all men, except one, vanish from the face of Earth and women are left to survive? There’s nothing like a good clash in beliefs when you’re left to ponder the weight of men and women in the progress of society. 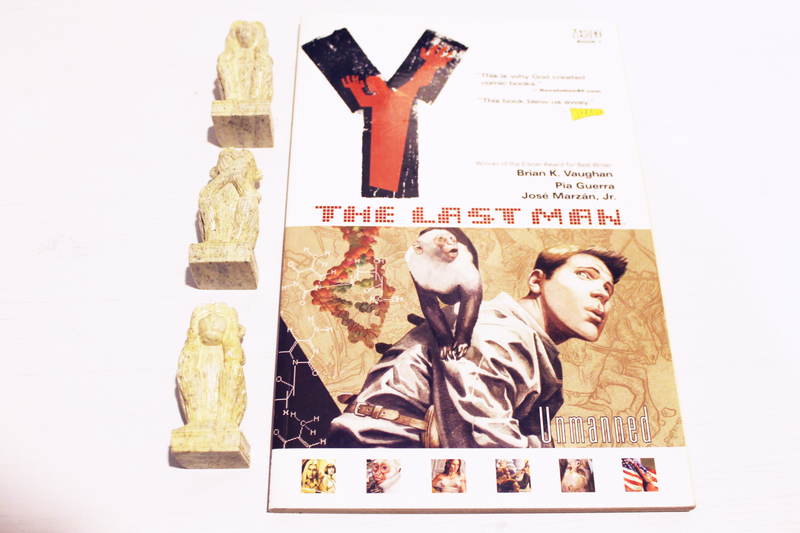 Y: The Last Man is a comic series that first came out back in 2002 and is written by our beloved friend Brian K. Vaughan. The same Brian that is currently bringing us the outstanding series that go by the name of Saga. If you’re unfamiliar with his work, know that Saga is not his only hit comic series and that the man has done other brilliant renown series that brought new heights to comic book storytelling. Y: The Last Man and Ex Machina are among some of his first series that has brought the writer great fame. The former is the story of Yorick and his pet monkey as they brace themselves for the challenges that a world with nothing but women throw at him. In this volume, recollecting issues #1-5, society knows more problems than fortune from the disappearance of men. It presents readers the framework for a universe that is certain to entertain you while exploring themes that every person might wonder about in their most peaceful moments. To be able to enjoy this series thoroughly, a great deal of concession will have to be made. Women take over the mantle of every man’s job when this was almost impossible to conceive back in the days. The story explores patriarchies, feminism, sexism, gender equality and world peace like never before. Who would’ve thought that the extinction of men could bring this much chaos. Brian K. Vaughan does. Sadly, this might seem a bit too far-fetched, if you ask me. There’s no way that the death of men could bring us to realize that there weren’t any women doing the very same job that kept the peace and economy going. Maybe this was the writer’s attempt to push readers to realize that the world needs more woman in this and that job? Who knows. The story still remains pertinent and very entertaining. Most of the volume served as an introduction to different factions and organizations that formed after the death of men. It also helped present our protagonist and his pet monkey as the only male living beings on earth and their need to remain in secrecy. Dialogue was pretty straight-forward and did nothing more than express every characters motive and intentions post-gendercide. Characters are truly intriguing. Although the protagonist is driven by a sense of heroic justice that is sometimes pretty dumb. He still presents himself as someone that is bound to go to great lengths to achieve things. However, he’s not very attachable and doesn’t seem as interesting as other characters that appear in this volume. In fact, the women in this volume appear to have personas much more interesting. It’s as if the main character served as a catalyst to every other character’s development. I believe the first volume can’t be the only reason for any reader to conclude their exploration of this comic series. It actually has great potential and was still a great read. You just shouldn’t think too much during the first read so that your interest lives on to discover what future volumes has in store for readers. The first volume’s story was well crafted. The story starts off with a little bit of foreshadowing followed with a bunch of character’s point of view of the events preceding the grand event. 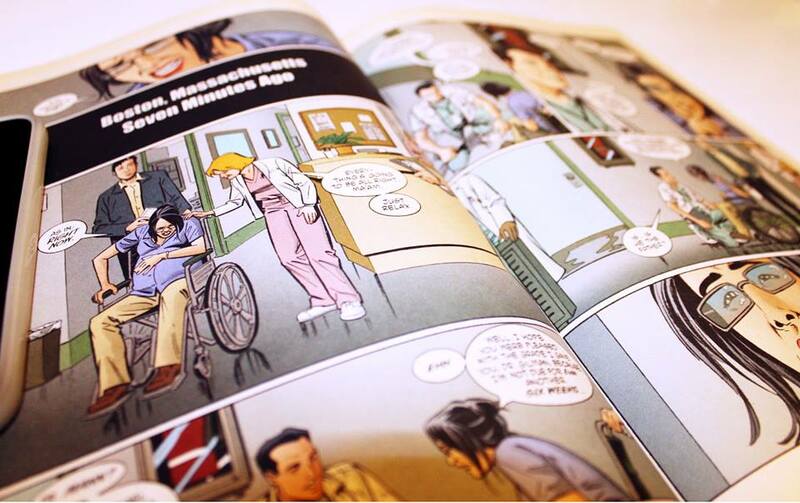 Brian K. Vaughan succeeds in creating a worldwide event with different angles to present characters that will sooner or later have big roles in Y: The Last Man. The artwork deserves its share of attention as well. Pia Guerra and José Marzá Jr. make up for a great team for this comic series. Very colorful and typical from your idea of a comic, every panel delivers its share of plot and suspense. It’s not revolutionary in its elements of surprise but it conveys the ideas of the writers without wasting time. However, every chapter starts off with an impressive page-full piece of art that’s definitely worth salivating over. Just for a couple seconds, no worries. In a nutshell, artwork doesn’t blow your mind away. But you have to admit that comics have come a long way now. Got to admit they did some pretty impressive job for this series. That’s my cue for a little round of applause. Brian K. Vaughan is a writer with many talents. He’s on the rise and closing your eyes on his work is a fool’s move. At the rate he’s going at with Saga, he’s sure to come out as a legend at the end of his career. 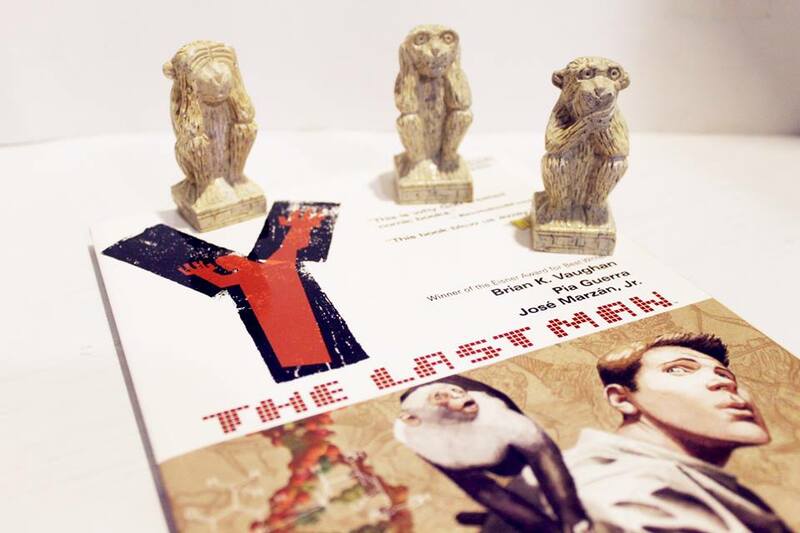 Y: The Last Man has a plot that will intrigue any reader. It has the potential to stimulate the most close-minded person and is sure to keep you entertained. Even if it might come out as offensive on some degrees, it gets you to react and enjoy. The series itself is well-known among avid comic fans and there’s a reason for that. After reading this volume, I knew with great certitude that future volumes will surely come out glorious and ingenious. It’s not easy to set the table to something with a plot this extraordinary after all. It might have some flaws that get you to wonder why you should bother continuing, but don’t be convinced by that little devil on your shoulder. Y: The Last Man has a lot in store for us. If you’re interested in the tale of a lone man and his male monkey in a world filled with women, you should definitely pick yourselves up this volume of Brian K. Vaughan’s comic series. As always, don’t forget to share your thoughts on this trade paperback, as well as like and follow us as we continue to get you guys reviews to enjoy. So what are you waiting for? 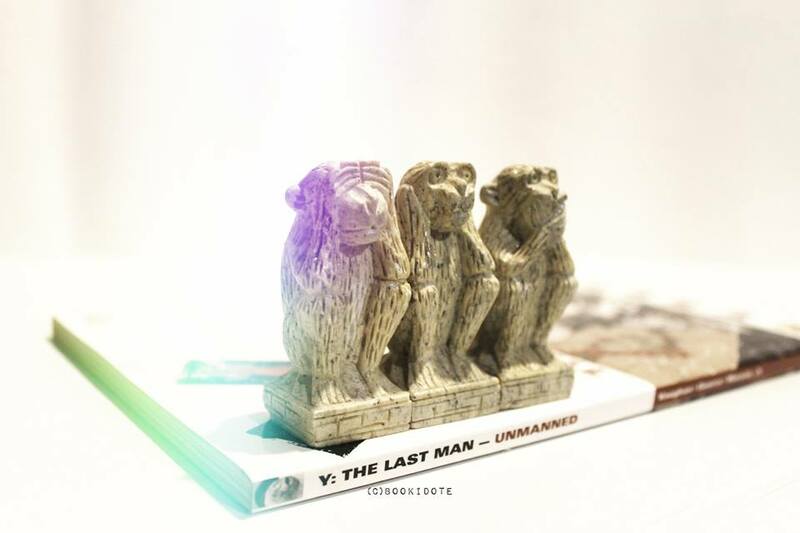 If you’re interested in this story, you can purchase a copy of Y: The Last Man (Volume 1) – Unmanned by clicking on this hyperlink ! Great story but I wish they would compile all of the volumes into an omnibus. After reading vol. 1 I didn’t feel like collecting the others because of the exorbitant price.